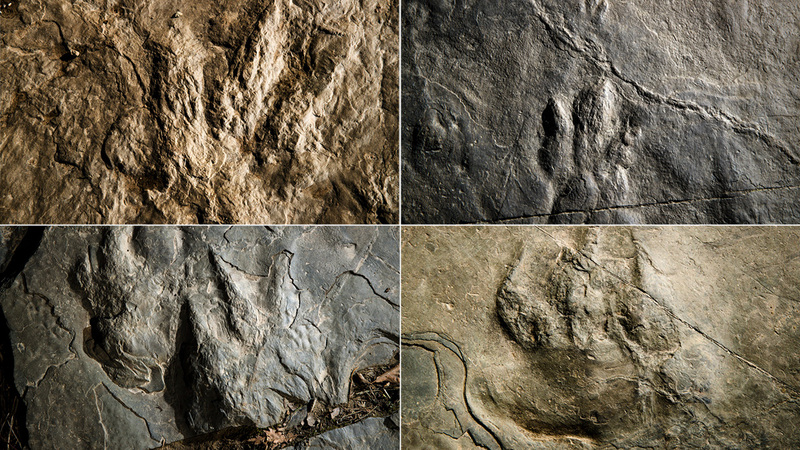 Trace fossils, as they are known, are scattered along a winding trail at Valley Forge National Historical Park. A volunteer at the park recently discovered dozens of fossilized footprints on flat rocks installed to pave the section of hiking trail. A park spokesman said there have been preliminary discussions about developing an interpretive program about the trace fossils.